Buying a villa, a townhouse or an apartment in La Zenia, Costa Blanca, Spain gives you the opportunity to live in one of the best areas on the Orihuela Costa. This popular beach resort is located inbetween Playa Flamenca to the north and Cabo Roig to the south, less than 10 kilometres from the major town of Torrevieja. At La Zenia you can enjoy a beach family holiday or a golf holiday. This is the perfect place for relaxing and to benefit from the wonderful weather all year round. La Zenia is also a great location for golf enthusiasts, being less than ten minutes´ drive to three quality golf courses, Las Ramblas, Campoamor and Villamartin. In addition, here you find the biggest shopping centre in the province of Alicante, Zenia Boulevard. This is the ideal place for the whole family to shop, eat and entertain themselves. 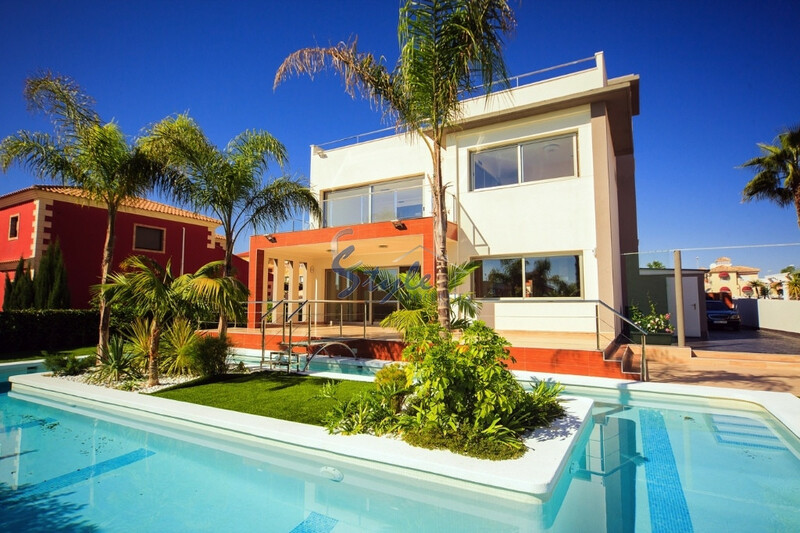 When it comes to buying property in La Zenia, you can rely on E-Style Spain. We specialize in second-hand and new build (detached and semi-detached villas, quads, townhouses, apartments, penthouses, etc). We have something for everyone, from modern contemporary new properties to the most traditional Spanish style properties. Call us today!